Universeal Sealants products are fantastic, professional grade solutions, but we know sometimes you need a bit of advice and help above and beyond the label description. To that end, we have put together some Frequently Asked Questions (FAQs) that we hope will give you some extra guidance and tips. If you would like to ask us something in particular, why not send us a message. 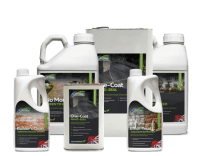 Is Grout Rescue suitable for outdoor use? Grout Rescue Colour & Seal can be used for outdoor applications. However, we do not guarantee its longevity due to the environmental impact of outdoor exposure. Will I need to re-apply Grout Rescue? 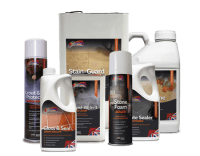 Grout Rescue Colour & Seal is a durable, permanent sealer and should provide long-term colour protection.  Depending on the type of cleaning products used, a fresh application may be required within 2 years, particularly if the cleaners use harsh chemicals as these attack the surface of the sealed grout. We recommend that you use pH neutral cleaning products, such as Universeal Easy Clean to achieve long-life protection. Can I order a custom colour for my grout? Yes, if you need a larger order of Grout Rescue Colour & Seal in a specific colour for a commercial project we can create a custom tint for you. A minimum quantity order applies and we will colour match your supplied colour swatch as closely as possible (limitations apply). Please contact us on +44 (0) 1300 345 898 to discuss your requirements. Do you accept returns/refunds with Grout Rescue? 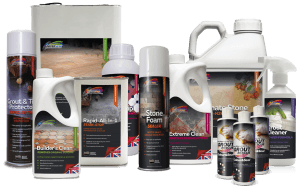 Due to the nature of Grout Rescue Colour & Seal, we cannot accept returns of any opened product. If you have ordered too much and have unused bottles, then yes, you may return those for a refund. Please note that you must bear the costs of returning the product to us. Our address can be found here. How do I guarantee Grout Rescue colour consistency? If you are undertaking a large project requiring multiple bottles of a colour, it is recommended that you empty all the individual bottles of Grout Rescue Colour & Seal into a larger container and mix well, this will create a consistent colour for the entire application. If I forget to remove the Grout Rescue from the tiles, will it stain? Yes! Be careful and make sure you follow the instructions to ensure that the excess product is removed from the tile surface promptly. Once it dries, Grout Rescue Colour & Seal is a permanent seal and can only be removed with powerful solvent strippers, such as Universeal Pro-Strip. How much will one 237ml bottle of Grout Rescue cover? A standard 237ml bottle of Grout Rescue Colour & Seal will cover between 3 – 15m2. 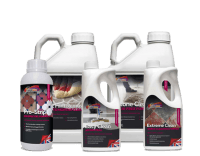 Product coverage will vary due to the grout width, density, texture and the surface absorbency. For specific coverage guidelines, download our Product Guide (PDF format). Will Grout Rescue work on new grout? Yes, Grout Rescue Colour & Seal is suitable for both brand new and older grout installations. It permanently colours and seals the grout, applying the chosen colour for a consistent coloured finish. As a general rule, we recommend that you try a small inconspicuous area before any application to your stone surfaces, regardless of the location. Always ensure you use adequate protection when working, we have sourced a value PPE bundle kit, giving you everything you need to complete the cleaning safely at a very affordable price. Why should I apply a Patio Sealer after cleaning? By applying a Patio Sealer immediately after cleaning, you can seal in the clean, pristine finish. A protective barrier will prevent grime and dirt from sinking into the stone, so providing a cleaner, more durable finish. Cleaning new dirt will be much easier as it will be sitting on top of the stone surface and won’t have sunk into the top layer of the patio/driveway/path. We recommend you use our Universeal Patio Stone Sealer Range for outdoor patio stone – available in Natural Matt, Colour Enhanced, Satin Sheen and Wet Look finishes. 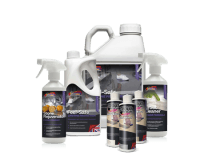 Our team can answer questions you may have concerning the application of our cleaners, sealants and maintenance products. We will endeavour to respond as quickly as possible. Send an email to faqs@universealsealants.co.uk or use the contact form.